Dr. Smith’s primary qualifications were in nursing and social work in the U.K. She emigrated to the U.S. in 1981 where she worked in medical research in New Jersey and volunteered with a research group: the Psychophysical Research Laboratories (PRL), until being hired by the Princeton Engineering Anomalies Research (PEAR) Laboratory. Those five fascinating years working at PEAR preceded a move to Las Vegas, NV to work with the Bigelow Foundation as a Research Coordinator. In 2001 she graduated with a Ph.D. in psychology and worked between 2003 and 2005 as Executive Director of the Boulder City Senior Center. 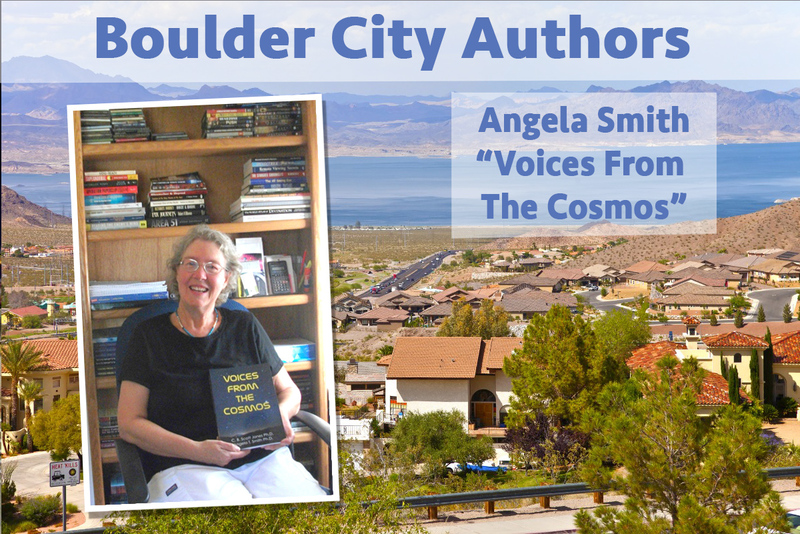 As well as being a published author, Dr. Smith owns a small business, Mindwise Consulting, and continues to work in Boulder City as a researcher, metaphysical teacher, and life coach. My writing ranges from autobiographical to metaphysical to historical fiction. My first metaphysical book, Remote Perceptions was recently republished. Two books are currently out-of-print: Shire and River of Passion, a historical novel and autobiography, which are based on my home village of Shirehampton, Bristol in England. Another out-of-print book is Diary of an Abduction, that examined the ET abduction phenomenon. Voices from the Cosmos, is an examination of the modern ET/UFO topic and was co-authored by C. B. Scott Jones, Ph.D. This book is now also being translated into French, Russian and Chinese! My most recently published book Seer is a collection of real-life metaphysical cases that I worked on over thirty years and I am currently writing a sequel. The current book I am writing is Colombia Quest, documenting my adventures while working in Colombia, South America in the 1970s. My aunt, Margory Paines, always advised me to “Write about what you know”! I have tried to follow her advice, although I am always exploring and developing my experience and skills. That we do not have to write “outside of the box”, in fact there are no “boxes”; everything is available to us to experience and write about. When and how did you publish? My books have spanned a time frame from 1998 through 2018. The first two books: Remote Perceptions and Diary of an Abduction were published by Hampton Roads Publishing and the second two: Shire and River of Passion were with Publish America. Voices from the Cosmos was published by Headline Books. Seer and the second edition of Remote Perceptions were published with Create Space on Amazon.com through Triangulum Publishing. I will probably publish through the same route with the sequel to Seer and Colombia Quest. To see Angela’s Author Page on Amazon, you can click HERE to see a full listing of her books. When I was in high school in England I wanted to be a journalist but I left school at sixteen to enter the workforce. Later, I took professional training as a nurse, social worker and medical researcher, and I began writing as a hobby. Those early professional years inspired me to write about my experiences. I have taken several workshops over the years which have strengthened my writing, but I have never formally studied writing. I would advise would-be writers to just “go for it”! Write about what you know and explore your creativity. I first came to Boulder City in the spring of 2002 and, apart from a short detour back to England, have lived here since. Boulder City has become my adopted home and I love the community feel, the history, and the social groups. Some days I am “working hard” and other days “hardly working” and that’s how I like it!